Having a set of pearly white teeth is quite important and is a sign of many more aspects of your oral health than just a nice looking set of teeth. Having healthy gums and teeth is an extremely important aspect for your overall health and it is necessary to start the process of caring for your teeth from an early stage. 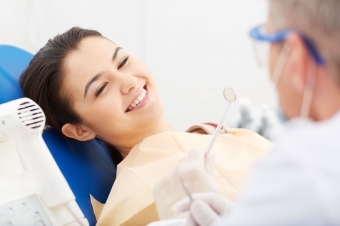 Unfortunately, many people visit a dentist only when they are facing dental issues. Leading dentists from around the world suggest that having a family dentist is just as important as having a family physician. A family dentist helps you to maintain your family’s oral health right from the time your kids start teething and make sure that they have the least gum and teeth problems going forward. In addition, a family dentist keeps your oral treatment records and helps you to take preemptive steps if they suspect you may potentially experience trouble with your teeth. A regular visit to your Newmarket family dentist will help you to maintain your oral health and save you huge stresses going forward. As described earlier, one of the most critical things is to check your dentist’s qualifications and experience. Check if they have a license to practice. It is possible that the clinic may have more than one dentist. Check every dentist’s credentials and pick the one that looks convenient for you. Make sure that the dentist you choose has adequate experience in dealing with children. Not all family dentists offer every kind of service. It is better to research and ask questions before finalizing on your family dentist. Make sure to research on the kind of services your Newmarket dental clinic offers before registering with them for your family. With the advent of the internet, you no longer need to take a chance. Google the clinic name and you will get a list of reviews from their past patients. Reading these reviews should give you a fairly good idea of what the dental office offers, how their services are, how successful they are and other important aspects. Along with the quality of their work, it is also important to check how the dental clinic is managed, how patients are treated while waiting, is the staff accommodative of a large number of patients, how is the general cleanliness in the premises, is the staff courteous and polite when dealing with patients; these are all the questions you need to answer before you choose to register. If you would like more information on how to choose a dentist correctly or are looking to register your family with a family dentist, visit Dentistry in Newmarket and speak to our experienced staff to get all your questions answered.